Shortly after assisting this congregation with an updating of their Sanctuary, which included new interior finishes and improving access for the disabled, I was asked to prepare a complete Master Plan for this growing suburban church, which would encompass worship, fellowship and education spaces. 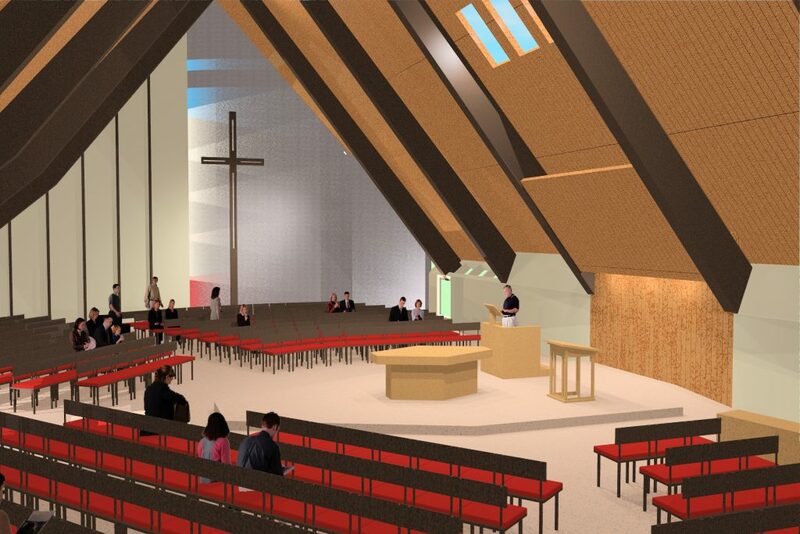 Rendering of the proposed sanctuary reconfiguration. The solution allowed the church to expand the seating capacity of their worship space without having to enlarge the structure of the sanctuary. It also created a new, central gathering space where churchgoers entering from two different parking lots on two different levels could come together before and after services. 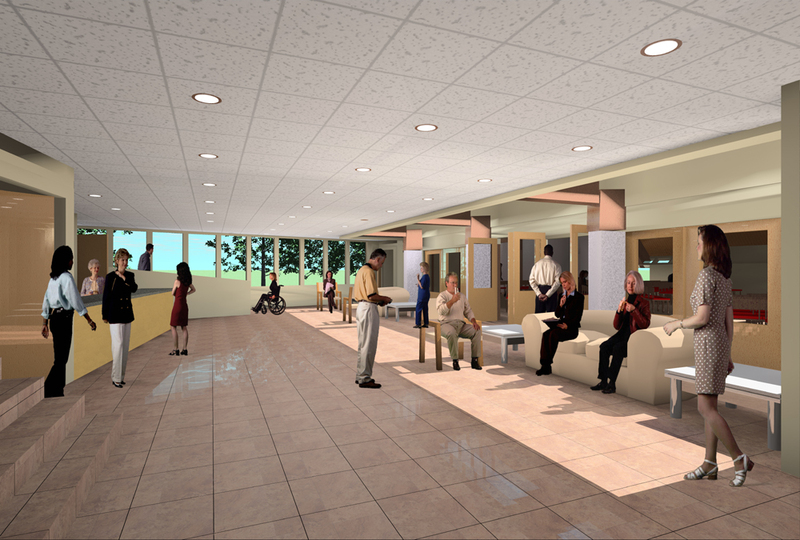 The proposed Master Plan reorganized the administrative and educational spaces to provide for a fully accessible, welcoming, flexible facility to help the church continue to grow into the future. When surveyed after the presentation of the Master Plan in September of 2006, 97% of the parishioners agreed that the proposed plan would help support their mission.